Welcome to The Technodrome! Since 1999, we have been bringing you classic TMNT content from the perspective of the villains. Our site features the latest news, extensive information, fun interactive elements, exclusive multimedia, original fan works, and much more. Feel free to let us know what you think by stopping by our forums or emailing us, and as always, you're welcome to bookmark or link to our site. Enjoy! » The Technodrome Turns 18! » The Technodrome's Sweet 16! » The Technodrome Turns 15! » Original TMNT Cartoon Season 3 Boxset In Stores Now! 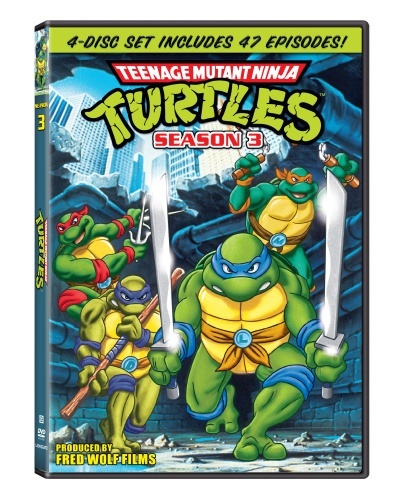 » Original TMNT Cartoon Season 3 DVD Boxset!